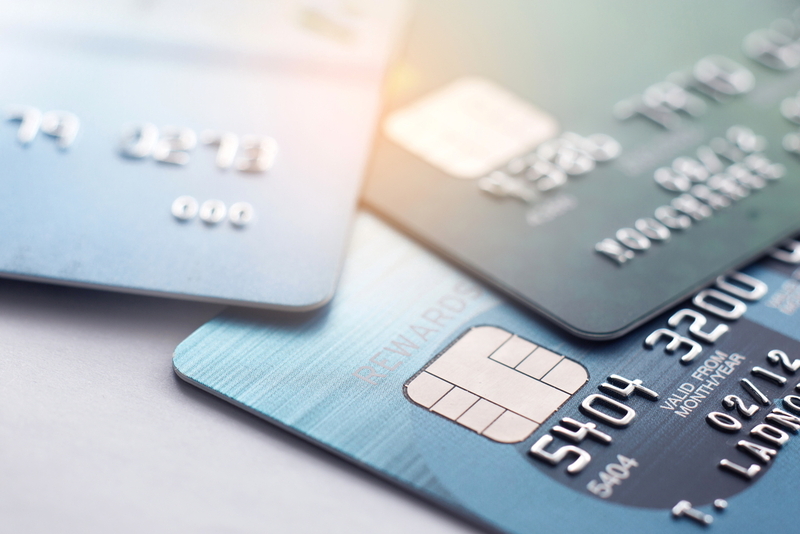 A credit card is a potentially powerful tool to help manage your spending, earn rewards and build credit history, but you can’t just sign up for a credit card without first proving who you are. For most Americans, that involves a taxpayer identification number, also known as a Social Security Number (SSN). But if you don’t have a SSN, you're not completely out of luck. You can apply for a free SSN alternative called an Individual Tax Identification Number, or ITIN. This taxpayer identification number is also critical for tax purposes in the U.S. If you don’t have one, it’s easy to get started using an IRS form. If you want to get a credit card and don’t have a Social Security number or ITIN, follow along to learn more. Your credit report is a big list of your credit account details over the last decade or so. This report is typically maintained by three credit bureaus - Experian, Equifax, and TransUnion. The credit bureaus, banks, and other lenders need a unique identifier that can be used to track your information across all systems. The Social Security number emerged as a logical solution. Whenever you complete a credit card application, the lender will ask for your Social Security number to look up your credit report. Lenders also use your Social Security number to report payments, balances, and other credit details. Businesses use an EIN, or Employer Identification Number, for this purpose. But what if you don’t have a Social Security number? In that case, you need an alternate tax ID, such as an ITIN. The ITIN is a social security number alternative used by the IRS to account for tax returns and tax payments of resident and non-resident aliens, regardless of immigration status. A short list of credit card issuers will allow you to get a credit card without this information, but it isn’t common. That’s due to a combination of government regulations and risk management concerns for the credit card issuer. The Federal government has a long list of requirements that all financial companies have to follow. Among those regulations are a set of rules that require money companies to “know your customer.” In the industry, this is commonly referred to as KYC. KYC laws started with the Patriot Act in 2001. These laws are designed to prevent terrorists, fraudsters, and other criminals from using the US financial system. For us good guys and gals, it means a few more hoops to jump through when opening a new account. If you want to learn more about KYC laws, check out this great article from financial technology company Plaid. This is in addition to the credit reporting issues described above. If a company doesn’t know who you are and can’t find a credit history for you, they don’t know if you are a safe bet or a risky one. If you don’t have a Social Security number, you can usually input an ITIN in its place. If you don’t have an ITIN, follow along with the next section to learn how to get one. If are a new immigrant to the United States, an international student studying abroad in the US, or plan to immigrate to the United States in the near future, you should probably apply for a taxpayer identification number. You can complete your ITIN application through the Internal Revenue Service by filling out form W-7 - Application for IRS Individual Taxpayer Identification Number. This form is also available in Spanish. To apply, you will need either your passport or two other identification documents, including at least one photo I.D. and one type of identification from your home country. This number does not authorize work in the US or give you eligibility for Social Security benefits. It is just a number used for banking, credit applications, and filing a US tax return. Download Form W-7 and get all the details you need to apply for a new ITIN at the IRS website. If you get stuck or need additional help along the way, contact your local IRS office for assistance. If you are currently outside of the United States, you can submit an ITIN W-7 form through one of these acceptance agents. Some banks won’t issue any credit cards to individuals without a Social Security number or ITIN. If you don’t have either, you may have to call the card issuer to apply through a paper application or in-person application process. Capital One and Citi both offer cards for people without a Social Security number. Those include student cards and cards for people new to credit. You probably won’t get a premium rewards card without a good credit history and some sort of tax ID though. Also, check out Deserve, a card issuer designed for students and people new to credit, as another alternative for those without a Social Security number. In any case, expect to provide proof of income, identification, and other documents to prove who you are if you want to get a new credit card without an SSN or ITIN. In the long-run, it is well worth the effort to build up a strong, positive credit profile under your own tax ID. For US citizens, that is your Social Security number. Others should look to the Individual Taxpayer Identification Number. If you don’t have either, your options for credit cards are very limited. If you don’t know your current credit situation, you can get a free copy of your credit report by law from AnnualCreditReport.com. You can also get your credit score for free from sites like Credit Karma and the free app Turbo from Intuit. It is important to make sure all of the good activity you do with any borrowing account in the US gets recorded to your credit report. This will help you build a good credit score and open up a wide range of financial options. From the best credit cards to the best rates on a mortgage loan, a good credit score is a very valuable asset. Most legal US residents should have a Social Security number or ITIN. If you don’t, go and apply for yours today! It is quick, easy, and gets you on track for a future with excellent credit. Eric Rosenberg is the mastermind behind the Personal Profitability blog and podcast. He has both an undergraduate degree and a MBA in finance and his work has appeared in various media outlets. How can I build credit without a social security number? Is it impossible to get a mortgage as an undocumented immigrant? Can Undocumented Immigrants File Taxes? Can You File Taxes Without a Social Security Number?